Utrecht Artists' Acrylic Gesso is an excellent medium-bodied acrylic ground. 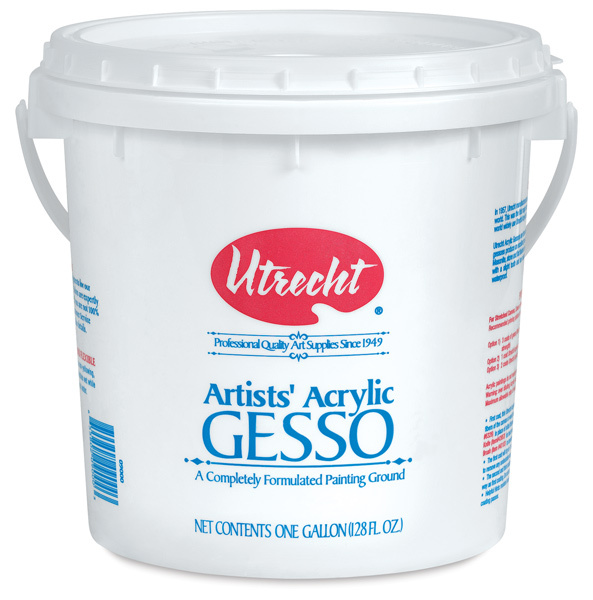 It is formulated with the same high-grade titanium dioxide and quality polymers that are found in Utrecht Professional Gesso, but has a more fluid viscosity. Offering superior brightness, excellent covering properties, and archival stability, it produces a slightly toothed surface that can be sanded to an extra smooth finish for detailed work.